My hunger still is not fed. Bit of teaching in sight. Knowledge is the library of books and teachings. These are the halls that overflow with mentors and teachers and information that has yet to be revealed and claimed for one’s own education. Knowledge temporarily quiets the continued cravings that prod us “to know”. Knowledge creates the pathways that provide choice in their taking towards synthesis of what has been acquired and learned. Knowledge is the practice of discernment and with the mastery of discernment comes the wisdom to know when experience is the master teacher. And gaze back into your loving face. Mirror of SELF~ Divinity released. Wisdom makes use of what knowledge has been acquired. Wisdom experiences the practice of knowing and in that practice formulates its own knowledge that has been refined and honed into the likeness of your own making and Soul’s needs. Wisdom stands at the ready to make application of all that has ever entered into the realms of mind and transforms it into the fuel of heart’s desire. Heart seeks the return of itself to the the Source of its beauty and receptivity. 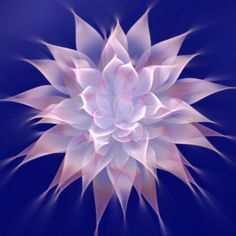 Heart opens itself to Wisdom’s call to understanding and in the silence of that greater understanding of Soul’s true purpose, Gnosis descends. Gnosis IS awareness of the I Am. Gnosis is silence that is filled with the profound echoes of all that was, is and shall be. Gnosis is the awakening of creation and the exhale of breath that gives birth to the awakening of the collective consciousness. Soul is infused by the yearning for gnosis as the memory of its origins catalyzes spiritual growth. Gnosis is the welcoming embrace of Spirit as Soul returns at life’s end enlivened by knowledge greedily consumed that has nourished a body of wisdom that glows in the wholeness of all the parts of itself.